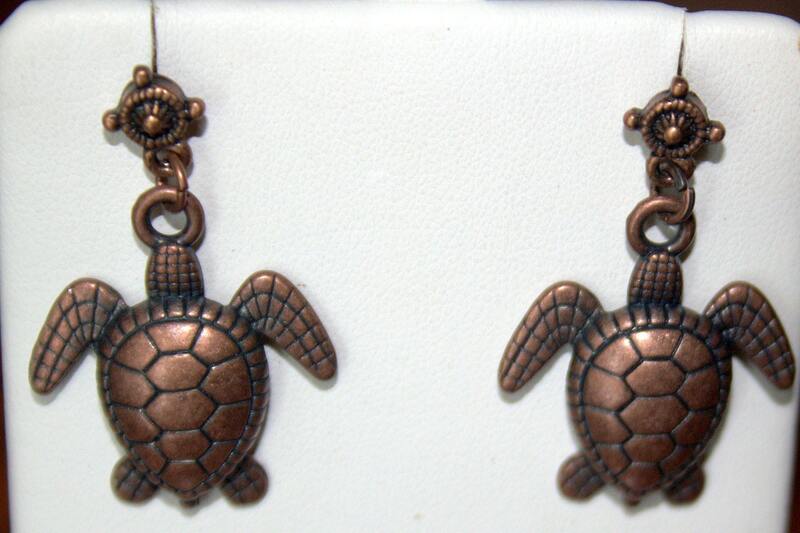 Copper sea turtle charms are hung on a matching nautically themed ear post. The turtles have patterned flippers and heads and a realistic shell pattern. The ear posts have a soft vinyl nib to hold them gently and nearly invisibly in place. The hang @ 1 1/2" from the ear.